Now that we’ve given you the basics for game day, time for the fun stuff! Every game, whether it is home or away, has a color. How you incorporate that color into your outfit is up to you! 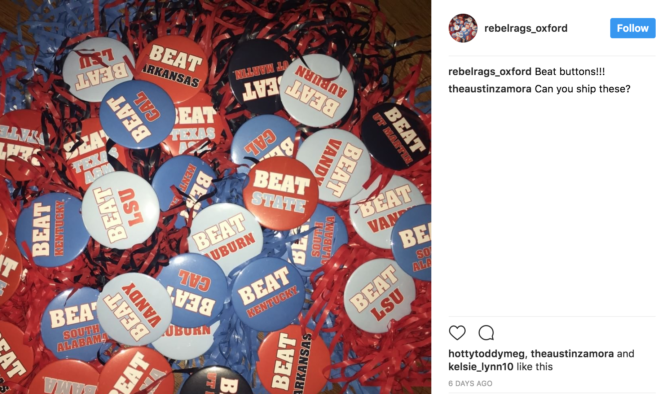 If your outfit is lacking in school colors or you are feeling extra spirited, stores like Rebel Rags have Beat Buttons for every game. 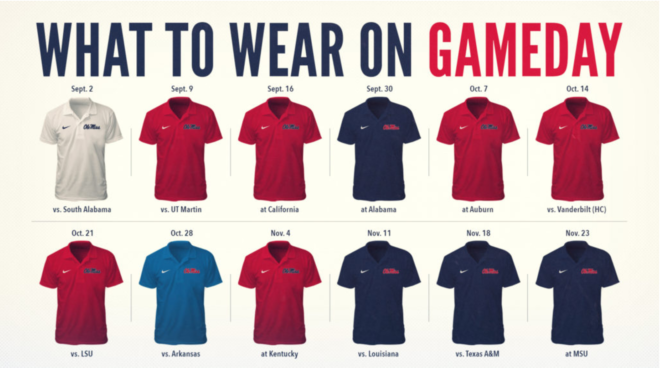 Most women save their best blue and red dresses for football season, while men tend to sport an Ole Miss collar shirt in the gameday color. Like a house guest, never show up empty handed! If you are joining a friend or family’s tailgate, check to see if there’s anything specific you can contribute (paper goods and cups often run out quick!). 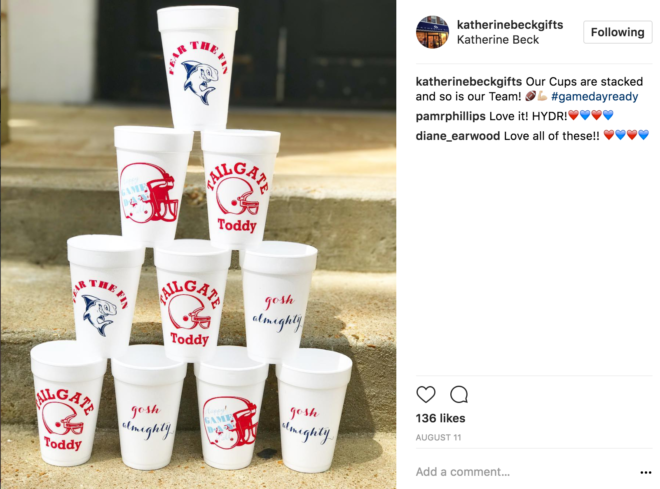 Many Oxford restaurants and catering services also offer tailgate menus with easy finger foods you can order ahead of time like The Main Event. http://maineventoxford.com/tailgating-ole-miss/ Last but not least, unless you have discussed with your tent group ahead of time, always bring your own cooler! This is the South! We Southerners are friendly and love to open our homes and food to others, and our tailgating is no different. 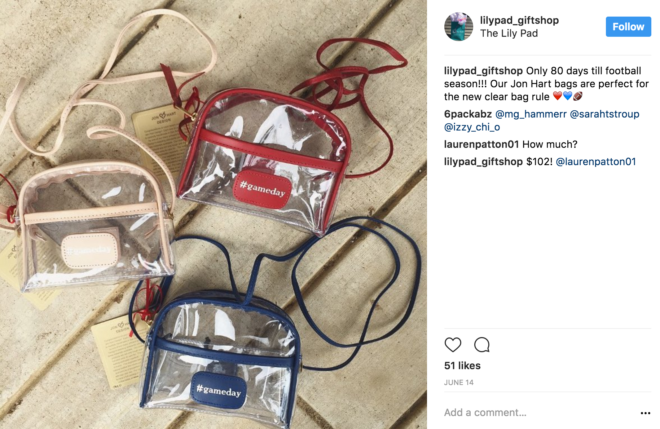 As referenced before, a tent guest is similar to a house guest! Many tents will have fans set up for the warm gamedays, and you of course are welcome to cool off, but remember sharing is caring! No one likes a fan hog. A large number of tents also have TV’s to watch other SEC games while they ‘grove’ (yes, this is also a verb). Chairs often are set up around the TV & you may be tempted to pop a squat and chow down. Just be aware if there is a big game on, it may not be the ideal time to take a chair up front to chat with your friend about your kids. 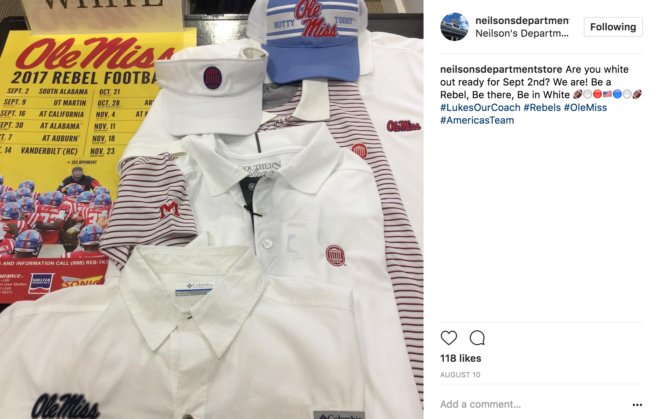 While most football fans across the country simply aim to make it to their seats by kickoff, Rebels aim to be in Vaught-Hemingway with a few minutes to spare. Every game begins with a celebrity starting the Hotty Toddy cheer on the jumbotron. It’s always a surprise and fans have a fun time guessing who it will be. 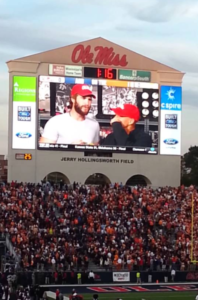 Betty White, Jason Aldean, Kal Penn, Liam Hemsworth, Octavia Spencer, Katy Perry and Eric Church are just a few celebrities that have graced the big screen in Vaught-Hemingway Stadium. If The Grove is not for you or you don’t have a ticket to the game, The Square is a great alternative for Saturday home games! Every bar and restaurant will be showing the game and the atmosphere is just as lively, especially after games (bars close @ 1am home games). If football is not for you, stores are always open! Questions? Don’t hesitate to call or come see us! 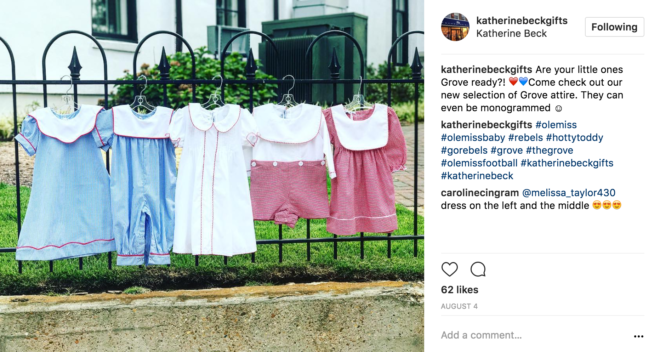 Visit Oxford is open on game days!